Dr. Jeffrey Derevensky has been reappointed as Chair of our Department of Educational & Counselling Psychology (ECP). The appointment is for a three-year term, effective January 1st, 2018, and was announced by Professor Dilson Rassier, Dean of Education, earlier this week. Jeffrey Derevensky is a James McGill Professor with ECP, Professor with McGill's Department of Psychiatry, and Co-Director of the Faculty's Institute for Human Development and Well-Being (IHDW). He is one of the world's leading researchers of youth gambling. 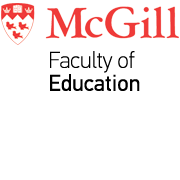 Much of Dr. Derevensky's renown stems from his work with McGill's International Centre for Youth Gambling Problems and High-Risk Behaviours, where he has been Director since their foundation in 1994. Dr. Derevensky received a Lifetime Achievement Award from the National Council on Problem Gambling in August, 2017, and was appointed as James McGill Professor in April, 2017. He has chaired the Department since August, 2014, a period that has been marked by the department's advancement of scientific knowledge through their research and practice in both education and psychology.